Mehnaz, 35, was born in Dhenda, a village in district Haripur. In the 1980s, her parents moved to Pakistan after the Afghan jihad following which her father was unable to earn a decent livelihood. The few small jobs that he did only helped bring a very small income home. 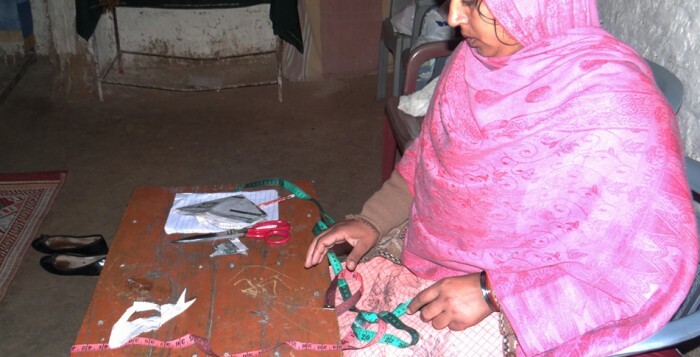 As a result, Mehnaz and her family suffered from poverty and hardship. As per family tradition, Mehnaz was married to a man from her clan but despite making compromises, her marriage fell apart. Back at her parents’ home with her now year-old son, Mehnaz felt that she had added to the existing financial worries of her family. Without a place to turn to for help, she found herself falling into depression. It was during this low that she found out about the Community World Service Asia’s training in the Dhenda area. In just her second month in the dress designing trade, she was getting orders from people; she now earns about PKR 300/ per day. 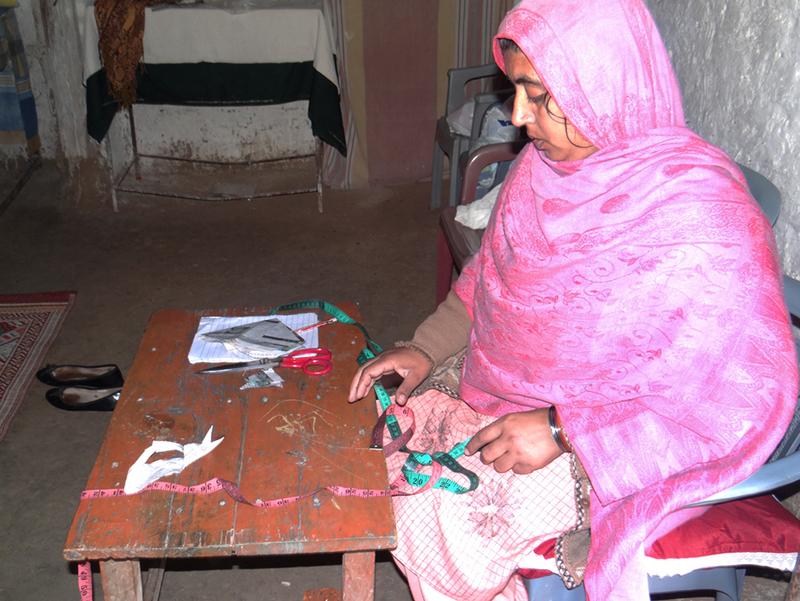 Mehnaz’s determination to raise her son independently as well as contribute to household expenses led her to successfully establish a tailoring center for women in Dhenda. Currently, she is an instructor at the center with 20 women under her training. Her story is one of resilience to overwhelming circumstances and her passion to work despite tremendous challenges truly inspirational.